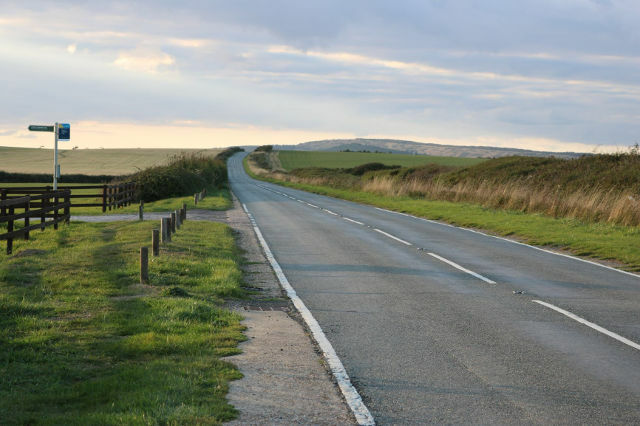 The stretch of road is one of the UK’s best-known and most photographed sections of highway and the longest consecutive length of road upgraded by Island Roads in a single scheme, as part of the Highways PFI. Resurfacing work on the seven-and-a-half-mile stretch of the Military Road between Chale and Brook is almost complete. There have been some slight delays to the work being completed due to weather and ground conditions, but all things being well, Island Roads say they hope the work will come to an end next Tuesday (6th November). According to Island Roads, the road was built by the military in the 1860s as part of the defence of the Island (hence the name Military Road) and it enabled troops to patrol the south west coastline from their barracks in Freshwater. It was for many years closed to the public with a series of gates restricting access, but after being purchased from the War Office and the Seely Estate, the road was reconstructed and public access established in the 1930s. 3 Comments on "Military Road resurfacing works extended, but end is in sight"
Perhaps they can now repair the roads they have previously resurfaced which are now breaking up.